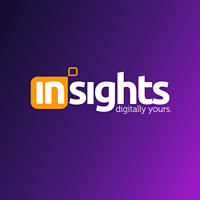 Insights Marketing Dubai is in the market since 2011. We have the team of professionals with experience in high-end projects and development in Dubai. We have expertise in SEO, Google ADS, Marketing services, Social media, Multimedia solutions, Branding Insights marketing, and communication is a top leading digital marketing agency in Dubai. We have been and Software in the market of Dubai. We aim to provide total solution at most competitive rates with quality to our clients in Dubai. We use the best technology and perfect layout for your dream project.